Crystalize's Lead Free Crystal Liquor Dispenser Decanter offers a unique gift idea for your home. 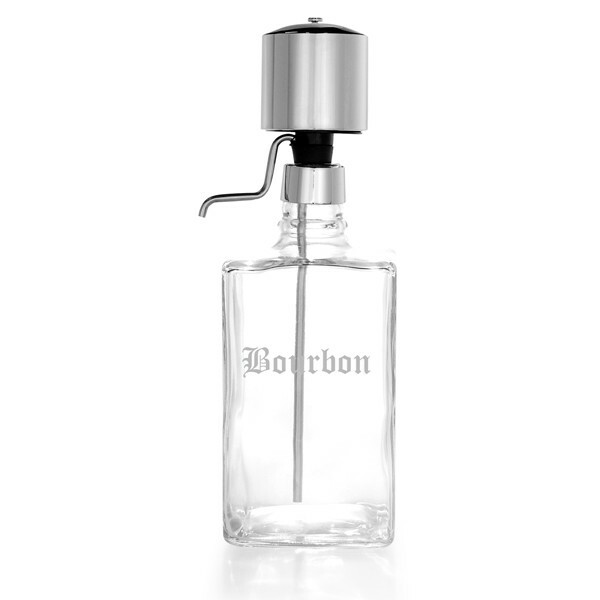 This etched Perfect Measure Liquor Dispenser Decanter with chrome pump is an elegant addition to your barware collection, makes an impressive set and a perfect gift for any special occasion or groomsmen, birthday, Father's Day and retirement. Store and pour liquor using the reliable Perfect Measure dispenser pump. This beautiful piece eliminates spills, waste and drips. This personalized Perfect Measure Liquor Dispenser Decanter is one of our most popular items ! This 32-ounce glass decanter is laser engraved with the following engraving options: BOURBON, GIN, RUM, SCOTCH, TEQUILA, VODKA , WHISKEY. The engraving is running horizontally across it and is offered in two font styles: OLD ENGLISH or CONTEMPORARY. 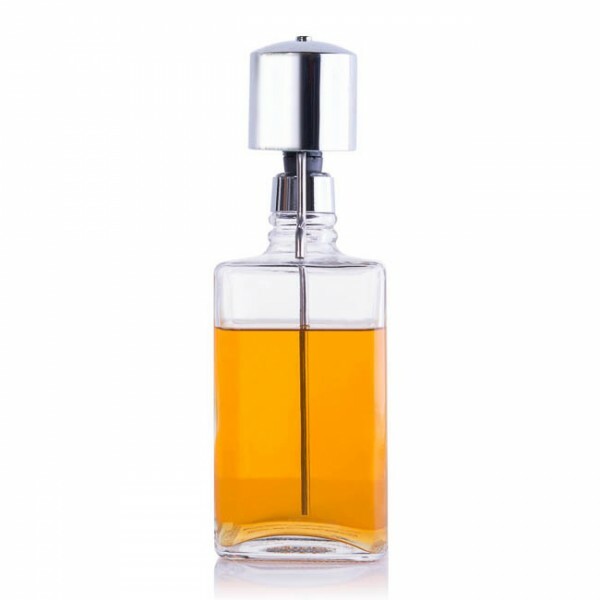 Our newly designed, distinctive dispenser with a handsome chrome pump, is even more attractive and strong enough for commercial use too (for example: pubs, corporate bars, hotel bars, country clubs, golf clubs, yacht clubs etc.). Easy palm-action dispenser measures one pump to 2 ounces. Approximate dimensions (with pump): 3.5" x 3.5" x 11". Also available in 4-piece Buffet Bar Set too !